Citrus Expo News You Could Win This Backyard Smoker! You Could Win This Backyard Smoker! This year’s annual Florida FFA fundraiser will be bigger and better than ever before! Citrus Expo attendees and exhibitors are invited to purchase raffle tickets for a chance to win valuable prizes while supporting an excellent organization. 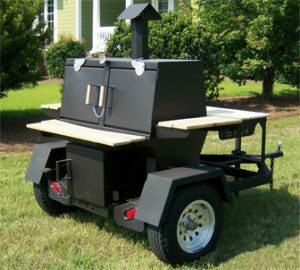 One of the prizes will be this backyard smoker, donated by Hays-LTI. Florida FFA state officers will be selling tickets during the trade show and Citrus Expo Shindig on August 17. Prize winners will be drawn at the Citrus Expo Shindig, and you must be present to win. Stay tuned for more prize announcements! Thank You for a Great 27th Citrus Expo!